Here are three more sketches in my 10 fairy sketches challenge. 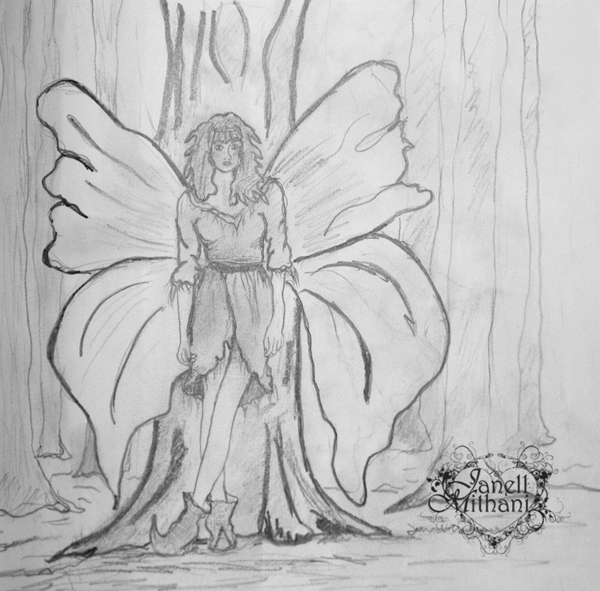 This entry was posted in Art, Art and Women and tagged dress, fairy, sketch, tree. Bookmark the permalink. IN A WAY…I’M SURPRISED YOU ARE STILL TAKING ME SERIOUSLY. GOOD JOB! impressive – Black & White always brings value and appreciation! They’re all wonderful, Janell. I love the “Little Lamb”…those big eyes are beautiful! 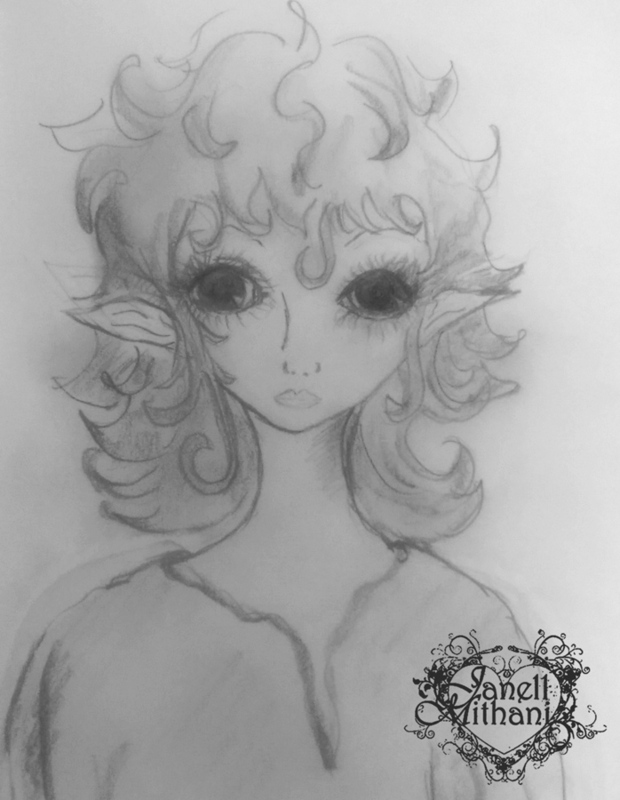 She looks like a lamb because of her ears, big eyes, and curly hair all together. Sweet! Thank you, I do love sketching and the simplicity of just one color. Thanks, Jill. Little Lamb made me giggle when I finished drawing her. very lovely artwork, you are truly talented, thank you! Hollie, Thank you for such kind words. 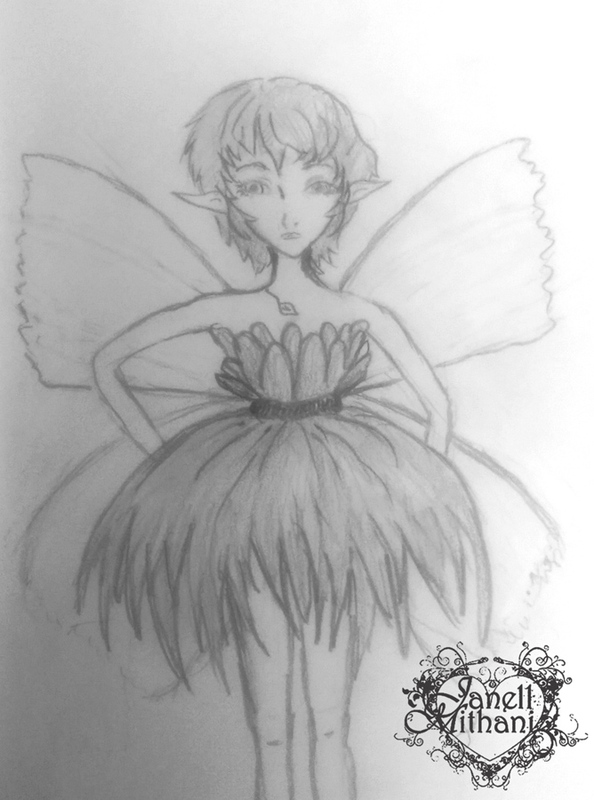 Do love your fairies Janell, especially #6 – very much a sassy fairy and awesome shoes!